Cape Coral is in Lee County, Florida and nestled between the Caloosahatchee River and Matlacha Pass. Since its inception, Cape Coral has been known as a “safe and sleepy” community that is perfect for retirement. 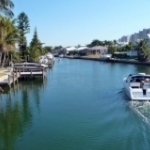 Though it still has its share of retirees, the boom of the 1990’s has brought young families into this boating and fishing paradise. Cape Coral offers exquisite sunsets, 400 miles of navigable canals, exciting eco-adventures, and virtually infinite opportunities for outdoor activities. According to the United States Census Bureau, the city has a total of 115.1 sq. miles and an estimated population of 156,000. Over the course of a few years, beginning in 1958, canals were dug, homes and businesses were built and the city was born. Celebrities were brought in to “pitch” the Cape Coral lifestyle. Through the 1950’s and early 1960’s, development moved quickly. When the Cape Coral bridge was opened in early 1964, it opened up new opportunities for growth and employment. Still today, many residents of Cape Coral cross the bridges to work in Fort Myers. Though many of the Cape Coral residents work in Fort Myers, Cape Coral offers a vast array of shops, restaurants, activities, and entertainment to satisfy your every need. The homes for sale in Cape Coral are beautiful and the quality of construction is generally very good. The homes in Cape Coral are reasonably priced and there is currently a good inventory to choose from. If you find a Cape Coral homes for sale that catches your eye, don’t wait long because prices are on the rise and home inventory is beginning to shrink. Cape Coral is the perfect place to raise a family. It is one of the safest cities in Florida boasting a 15.7% drop in crime from 2009 and a 9.4% decrease in 2008. After visiting Cape Coral, you will know why so many people fall in love with the area and return to make this area their home. Feel free to call or email with questions and please allow us the opportunity to apply for the job as YOUR Realtor. If you’re looking activities and entertainment or you just want to put up your feet and relax, Fort Myers is the place. Known as the historical and governmental hub of Lee County, it offers beaches, dining, nightlife, shopping, golf, nature and plenty of opportunities for an angler. It is located 120 miles south of Tampa. It is south of the Caloosahatchee River and north of Estero. Fort Myers is the center of the Southwest Florida tourist area. It was incorporated in 1885 and is 40.4 square miles. Fort Myers was the frequent winter home for Thomas Edison and Henry Ford but now the Boston Red Sox and the Minnesota Twins call Fort Myers home for spring training camps. According to the United States Census, Fort Myers has a population of 68,889. Cape Coral and Fort Myers make up the metropolitan area but don’t forget to cross the bridge and visit Sanibel and Captive Island. Fort Myers was originally built as a military fort in 1850 to fend off the Seminole Indians that were massacring the area’s few settlers. In 1858, the Seminole’s surrendered and moved west. The fort was abandoned until 1863 when a small number of union troops re-occupied the fort during the Civil War. In 1882, Fort Myers had a significant increase in settlers and by the time it was incorporated in 1885, it was the second largest city on the west coast of Florida. The real estate market in Fort Myers has grown dramatically in recent years. In addition to retirees, many young families call Fort Myers home. Choose between waterfront homes, high rise condos, single family homes and gated communities. The Fort Myers homes for sale are reasonably priced and the sunshine is free. The inventory of homes for sale in Fort Myers is ample but the pristine properties never last long. Feel free to call or email with questions and please allow us the opportunity to apply for the job as YOUR Realtor. Fort Myers Beach is a town located on Estero Island in Lee County, Florida. It is part of the Cape Coral – Fort Myers Metropolitan Area. The town is 6.2 square miles and situated across the barrier islands. Estero Island and San Carlos make up the community of Fort Myers Beach. 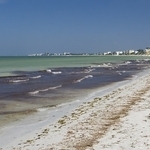 Fort Myers Beach has approximately 7500 residents and 3500 households. Fort Myers Beach is a small community. There are beautiful homes for sale but the inventory of homes for sale are fewer than available in the neighboring cities. When you find a home for sale in Fort Myers Beach, the opportunity usually does not last long. Beautiful beach, an abundance of water activities, great restaurants and inviting people will make living in you Fort Myers Beach home feel like your on a permanent vacation. If your paradise includes watching the sunrise over Estero Bay or exploring natural wonders, you have found home. Please call or email us with any and all of your real estate needs. We would appreciate the opportunity to apply for the job as your realtor. In the 1950’s, Chicago businessman Lee Ratner needed a tax shelter after selling his pest control business. He had heard that cattle were a good investment so he purchased 18,000 acres of land in eastern Lee County and named it the Lucky Lee Ranch. Shortly after starting his cattle enterprise, he joined with Gerald Gould, Manuel Riskin, and Edward Shapiro to start developing and selling the land. Since the days of the Lucky Lee, the boudaries of Lehigh Acres have stretched to cover over 61,000 acres. The surge in housing prices led to a boom in Lehigh Acres from 2003-2007, peaking at more than 7,500 new homes constructed in 2006. Lehigh Acres is the perfect community offering wide open space, affordable housing prices, and friendly faces. Don’t forget that your Lehigh Acres home borders Fort Myers so you are never far from the city and beach. Sanibel is known as the seashell capital of the world. It is located in southwest Lee county, just offshore in the Gulf of Mexico. Originally part of the neighboring Captiva Island, it is now separated by a channel called Blind Pass. Blind Pass was originally created by a hurricane’s storm surge and through the years was eventually filled in. A dredging project in 2009 separated Captiva and Sanibel once again. Captiva and Sanibel are barrier Islands and the only automobile access is via the Sanibel Causeway. Enjoy 15 miles of unspoiled beaches, 22 miles of bike paths, 50 types of fish, 230 types of birds, 250 types of shells and 0 stop lights. People love the shelling, snorkeling, fishing, boating and local art. The islands offer a friendly and quaint atmosphere with a wide array of shopping and restaurants. No wonder Sanibel and Captiva have become home to many rich and famous people. Sanibel and Captiva are internationally famous for not only there natural beauty but because of their reputation for protecting plant and animal life. 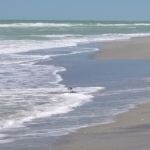 There are no other islands like Sanibel and Captiva anywhere in Florida. 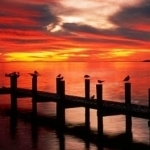 Captiva and Sanibel have beautiful homes for sale. There is a smaller inventory of homes for sale because of the size of the Island. Also, the residents love the area so much, they don’t want to leave. When an opportunity arises to purchase a home on Captiva or Sanibel, it usually does not last long. Sanibel and Captiva are the perfect place to visit but a better place to live. Bonita Springs is ideally located north of Marco Island and just between Naples and Fort Myers in Lee county. 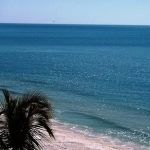 Known as the “Gateway to the Gulf,” Bonita Springs is home to beautiful beaches and Islands. According to the 2007 U.S. Census estimates, Bonita Springs had a population of 42,268 and covers a total of 41 sq. miles. If you enjoy boating, fishing, sunning, shelling and golf then Bonita Springs is for you. There are also extensive freshwater lakes and streams that give you additional outdoor options. When you’re done playing outside, Bonita Springs offers a wide variety of shopping, dining and entertainment. The homes for sale in Bonita Springs are reasonably priced and construction quality is generally good. The inventory of homes for sale in Bonita Springs is ample but becoming fewer every day. When you find your Bonita Springs home, don’t wait too long because it may not be there tomorrow. Day or night, inside or out, Bonita Springs offers it all. Feel free to call or email with questions and please allow us the opportunity to apply for the job as YOUR Realtor. Punta Gorda is located in Charlotte County where the Peace River meets Charlotte Harbor. Punta Gorda means “Broad Point” and it is located south of Sarasota. The Howard brothers were the first settlers to arrive in Punta Gorda in the late 19th century. Within 10 years of their arrival came the railroad and Punta Gorda became the southernmost stop on the South Florida Railroad. Punta Gorda is approximately 18 square miles in size and has a population of roughly 17,000 people. On August 13, 2004, Hurricane Charley hit Punta Gorda and caused much damage. Despite the extensive damage, the community remained positive and joined together to repair and rebuild. Punta Gorda is now bigger, better and newer then it ever was and is growing in popularity faster by the day. Its increasing population and constant charm have spawned an expansion of unique shops, restaurants, and eco-friendly activities. Punta Gorda promises to be a casual lifestyle of fishing, nature trails, golf and gardening. You are far more likely to see a church than a nightclub. This community is friendly and inviting which explains why it is becoming so popular. Homes for sale in Punta Gorda are not as abundant as they are across the river in Port Charlotte. Punta Gorda homes are surprisingly affordable considering their paradise location and quality of construction. Pine Island is located in Lee County and made up of five unincorporated towns: Pine Island Center, Bokeelia, Pineland, St. James City and Matlacha. The Intracoastal Waterway passes through Pine Island Sound, to the west of the Island. Matlacha Pass runs between Pine Island and the mainland. Pine Island lies west of Cape Coral. Pine Island is made from the same coral rock as the mainland compared to the sandy barrier islands like Sanibel and Captiva. The Calusa people are thought to have inhabited Pine Island since the year 300. Spanish explorer Juan Ponce de Leon is thought to have landed near Pine Island in 1513. Due to wars and disease brought by the Spanish explorers, the Calusa died out in the 1700’s and the Island was uninhabited until 1873. Pine Island’s secluded and quant atmosphere is part of its charm. People say it reminds them of the Florida Keys 25 years ago. Because it is fringed with mangroves rather than sandy beaches, it has escaped the concrete and skyscrapers found in many tourist locations. Homes for sale in Pine Island are affordable but not always abundant. When people find a Pine Island home that meets their needs, it is usually off the market relatively fast. Don’t miss your opportunity to own a piece of this Island paradise. Pine Island is also known for its beautiful sunsets, friendly people and world class fishing. This undiscovered wonder will captivate and amaze you. Estero was established and incorporated by followers of Dr. Cyrus Reed Teed. He proposed a theory called Koresham Unity which says that “we live on the inside of the Earth’s outer skin, and that celestial bodies are all contained inside the hollow earth. In 1894, followers purchased and occupied a 320 acre parcel of land where they lived communally and prospered in business and politics. In 1904 the town of Estero was incorporated. Though those days have long passed, the Koreshans’ original tract is now owned by the State of Florida. The Koreshan State Historic Site is a popular place to visit. Today, Estero is a small modern paradise consisting of 56 sq. miles. It is located south of Fort Myers north of Bonita Springs. When you arrive in Estero, you can shed your worries and enjoy the pristine beaches, beautiful sunsets and relaxing gulf breezes. Estero is an escape like no other. People are drawn to Estero for its shopping, dining, schools and relaxed lifestyle. People stay in Estero for its museums, art galleries and unlimited recreational opportunities. Estero has a nice inventory of homes for sale. The prices are reasonable and the quality of construction is good. Homes for sale in Estero don’t last long.